Paper jammed in my product. What should I do? Remove all originals from the input tray. 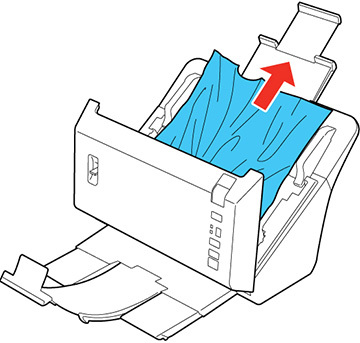 Pull down the cover open lever and open the scanner cover. 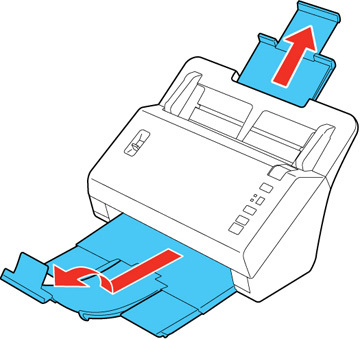 Gently pull out any jammed originals from inside the scanner. 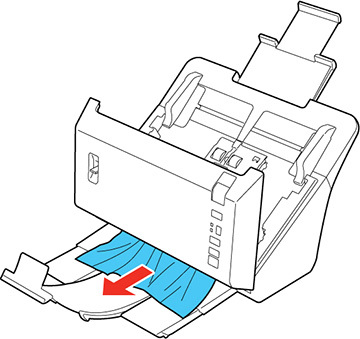 Gently pull out any jammed originals from the output tray. Carefully follow all loading instructions when you reload originals. Published: Feb 21, 2014 Was this helpful​? Thank you for the feedback!